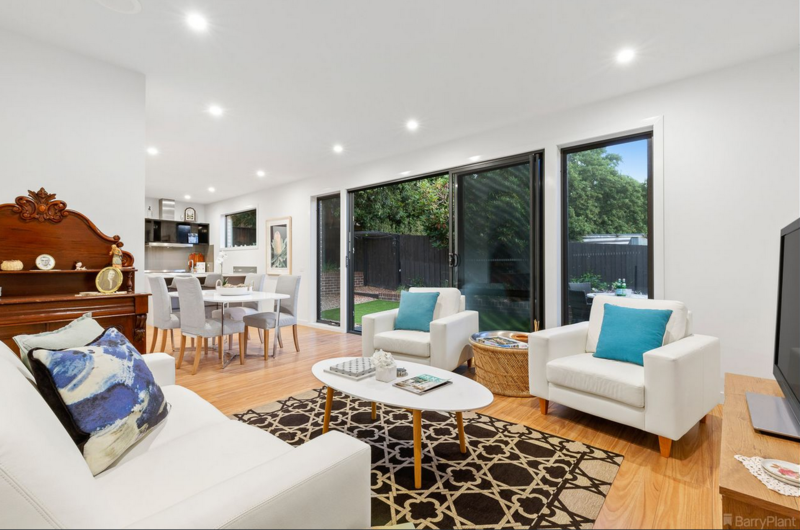 Occupying a desirable position in a quiet, tree-lined street this sleek, modern residence is one for the lifestyle conscious, with light-bathed open plan living and enduring architectural design set amongst immaculate landscaped surrounds. The bright and airy interior makes an inspiring impact with high ceilings, square-set cornices and beautiful timber floating floors. 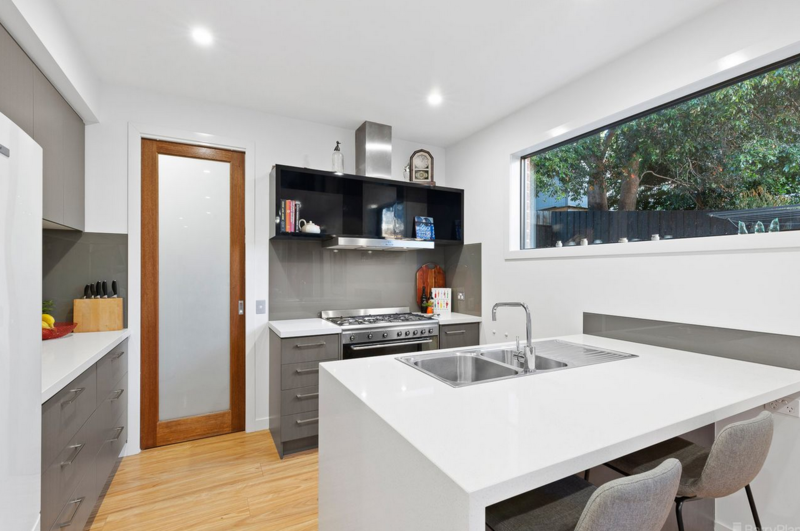 The generous hallway guides you to the spacious living and dining zone, alongside a quality designer kitchen boasting stone waterfall benchtops, large walk-in pantry, 900mm stainless steel Smeg oven and Smeg dishwasher. 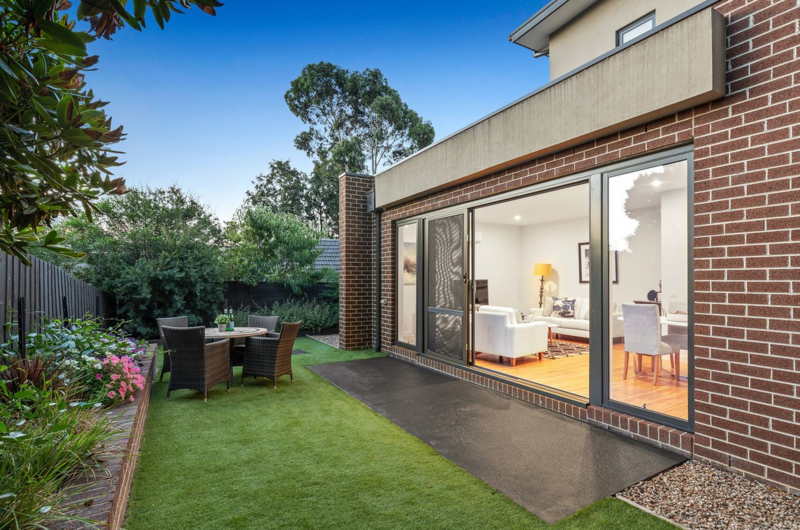 Sliding doors seamlessly blend the interior spaces to the delightful courtyard featuring a patio area. Providing space and privacy for outdoor entertaining it is a tranquil retreat where you can spend time with friends and family. The ground floor master enjoys a walk-in robe and contemporary ensuite with a dual-sink vanity and large shower. Upstairs, two bedrooms (WIRs) are serviced by a powder room and main bathroom with a deep bath and separate shower. All bedrooms feature plush carpet as well as split-system heating and cooling. Further highlights of this luxurious home include LED downlights, video monitored entry, solar (gas boosted) hot water service, downstairs powder room, separate laundry, walk-in linen press and a double auto garage with internal access. 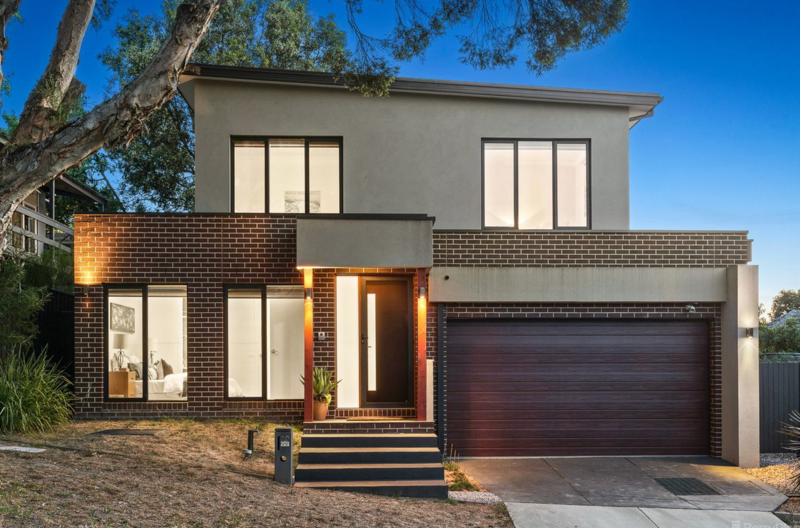 Only 4 years young and positioned in a highly-desirable locale close to Ringwood East Village, Ringwood East train station, Burnt Bridge Shopping Centre, Eastland, Yarra Valley Grammar and EastLink, inspection of this stunning home will confirm its far-reaching appeal.